I had to be very careful taking this photo. My camera is not weatherproof, so I had to be careful not to get it too much into the rain :) I'ts also nice to be able to get a reflection somewhere, where usually there is no reflection. 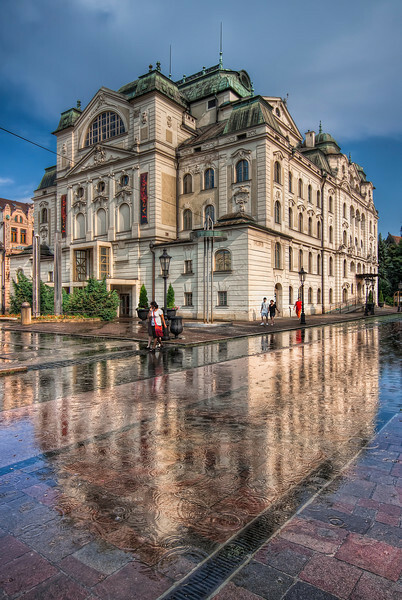 This photo was taken in the center of Kosice, this is the State Theater. HDR from three shots, taken with Canon 450D with Sigma 10-20mm lens, handheld.